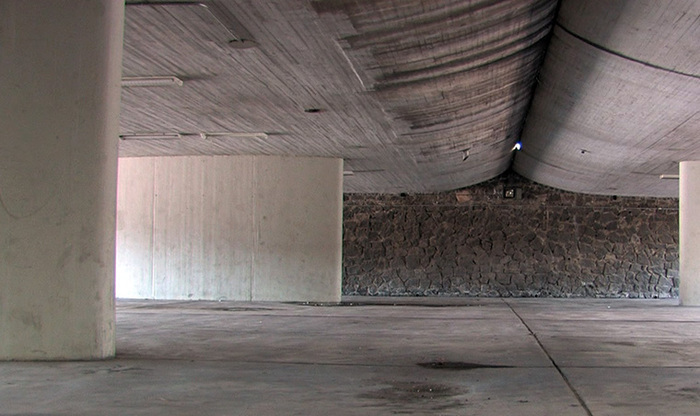 La Huelga, production stills, 2012. Courtesy of Ken Ehrlich. 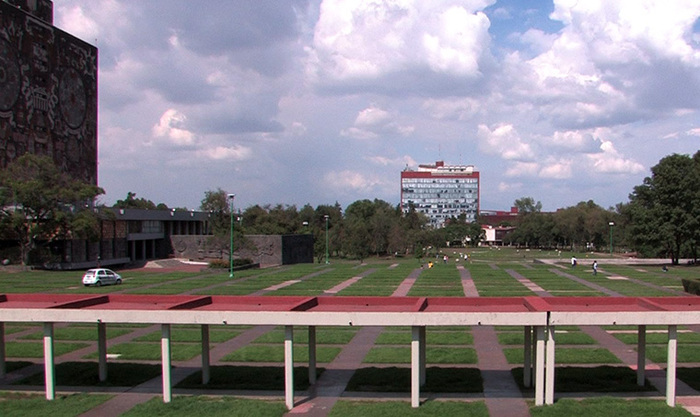 La Huelga is an experimental documentary video that examines a student strike at the largest public University in Mexico (UNAM) in 1999–2000, by juxtaposing participant interviews with a lyrical portrait of the campus architecture. 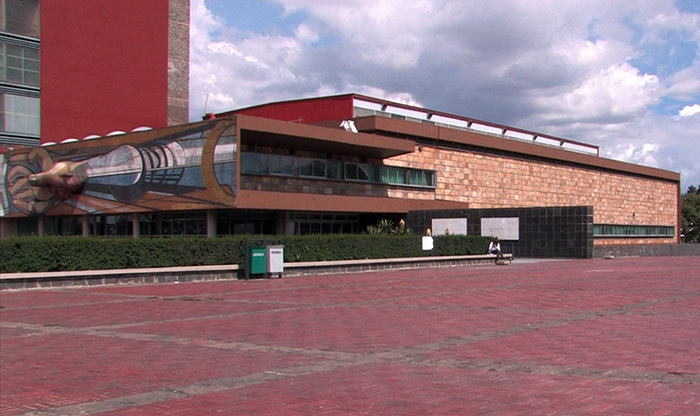 The video highlights the buildings within the central campus, which was declared a UNESCO World Heritage Site in 2007, and designed by Mexican modernists Mario Pani and Enrique del Moral. 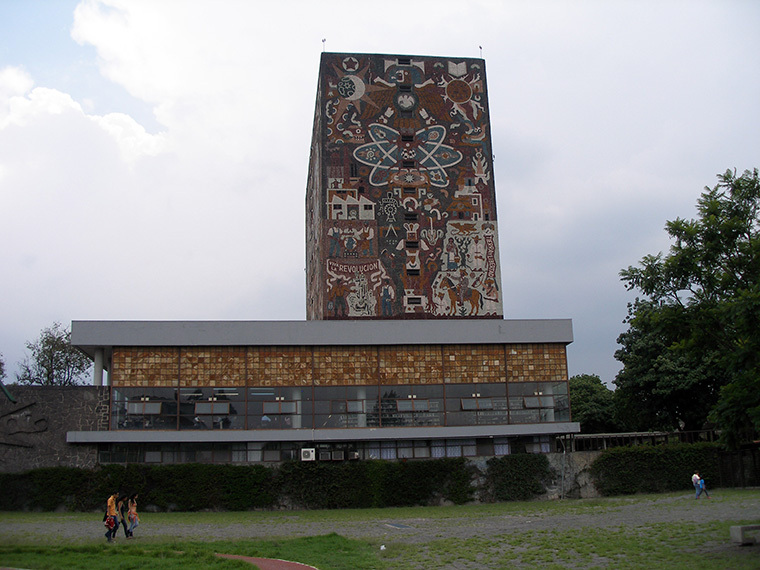 Juan O' Gorman also created complex mosaics with pre-Hispanic associations on the central library, and José David Alfaro Siqueiros finished famous murals on the administration building. 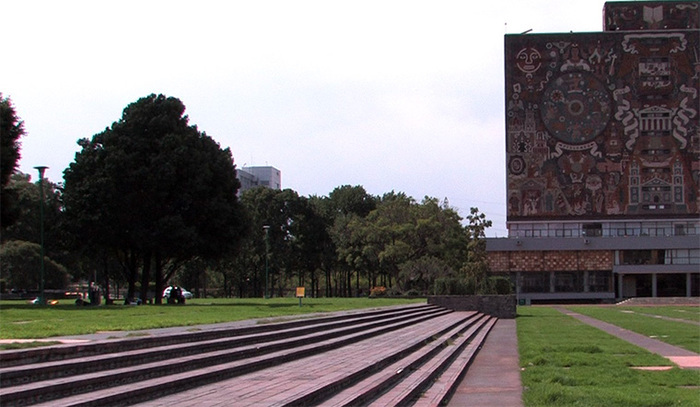 This unique architectural space sets the stage for a series of in-depth interviews with students, authors, activists, and politicians attempting to unravel the complex legacy of Mexico's most contested contemporary student movement. Ken Ehrlich is an artist and writer whose work focuses on the material, social, and formal dimensions of the built environment. He has exhibited internationally in a variety of media, including video, sculpture, and photography. He is the editor of Art, Architecture, Pedagogy: Experiments in Learning (viralnet.net, 2010), and coeditor (with Brandon LaBelle) of Surface Tension: Problematics of Site (2003); Surface Tension: Supplement, No. 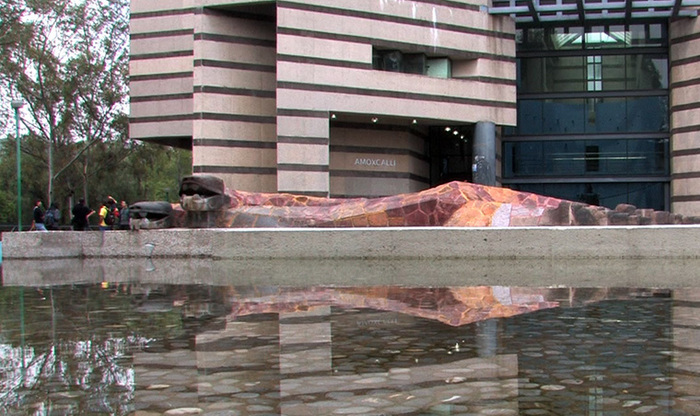 1 (2006); and What Remains Of A Building Divided Into Equal Parts And Distributed for Reconfiguration: Surface Tension, No. 2 (2009), published by Errant Bodies Press. He currently teaches in the Department of Critical Studies at CalArts and in the Department of Art at the University of California, Riverside.